Rope-lay Splicing – Hartline Supply Inc. The Rope-lay Splice is constructed by cutting and staggering individual bunches of strands. These bunches are lined up and welded in sequence to repair the cable. 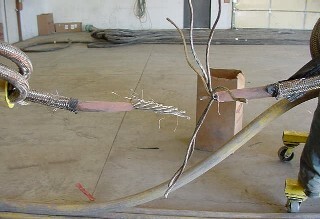 The picture below shows the weld completed.